Canvas Network offers open, online courses taught by educators everywhere. 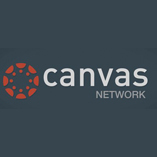 Powered by the Canvas learning management system, Canvas Network provides a place and platform where teachers, students, and institutions worldwide can connect and chart their own course for personal growth, professional development, and academic inquiry. Canvas Network is developed and supported by Instructure, an education technology company that partners with educators, institutions, and technologists to build open educational resources and break down barriers to learning. Forums for a Future Self paced No reviews yet. From the Gilded Age to the Roaring Twenties: The Emergence of Modern America Self paced No reviews yet. The Great Depression to the War on Terror: Enter the World Stage Self paced No reviews yet. First Peoples to the Early Republic: Born in Colonialism Self paced No reviews yet. Understanding the Scientific Method Self paced No reviews yet. Digital Badge: Rockets to the Rescue! Self paced No reviews yet. Advanced Cardiac Life Support Self paced No reviews yet. Introduction to Media Ethics 1-2 hours a week 1-2 hours a week Self paced No reviews yet. Chemical Engineering: Review of Enabling Sciences through Problem Solving Self paced No reviews yet. (K-12 Policy) Securing Our Nation’s Future: The Urgent Need for Education Reform Self paced No reviews yet. (K-12 Policy) Data Privacy? Get Schooled. Self paced No reviews yet. Developing a Food Bank Nutrition Policy: A Guide to Procure Healthful Foods 6 weeks long 6 weeks long Self paced No reviews yet. (K-12 Policy) Mission Possible: Developing and Implementing a Comprehensive K-3 Reading Policy Self paced No reviews yet. Introduction to Finding Grants Self paced No reviews yet. Metadatos para recursos educativos 3-4 hours a week , 9 weeks long 3-4 hours a week , 9 weeks long Self paced No reviews yet. Preparing for College: The Placement Test 1-2 hours a week 1-2 hours a week Self paced No reviews yet. Introduction to Numerical Methods - Part 1 of 2 5 hours a week 5 hours a week Self paced No reviews yet. So you want to work in the Pharmaceutical Industry 1-10 hours a week , 3 weeks long 1-10 hours a week , 3 weeks long Self paced No reviews yet. (K-12 Policy) How Do We Stack Up? Using OECD’S PISA to Drive Progress in U.S. Education 1-2 hours a week 1-2 hours a week Self paced No reviews yet. How to Ace Your Online Course 6 hours worth of material 6 hours worth of material Self paced No reviews yet. (K-12) BL-103: Teaching Each Student 6 hours worth of material 6 hours worth of material Self paced No reviews yet. (K-12) BL-201: Extending Your Blending 6 hours worth of material 6 hours worth of material Self paced No reviews yet. (K-12) BL-102: Rolling Out Blended 6 hours worth of material 6 hours worth of material Self paced No reviews yet. (K-12) BL-101: Beginning to Blend 6 hours worth of material 6 hours worth of material Self paced No reviews yet.